Emergency eye wash kit for any location. 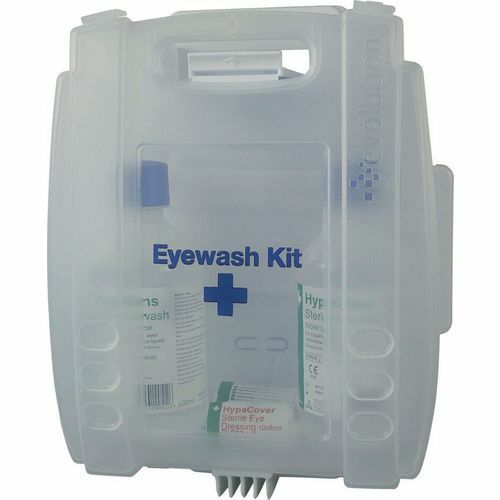 Ensure you have adequate eye wash facilities at your place of work. Self-supporting workbench allows kit to be opened and worked with on the bracket. Durable hinged case includes bottle stabilisers to hold contents firmly in place. Supplied with a quick release wall fixing bracket and kit identification label. 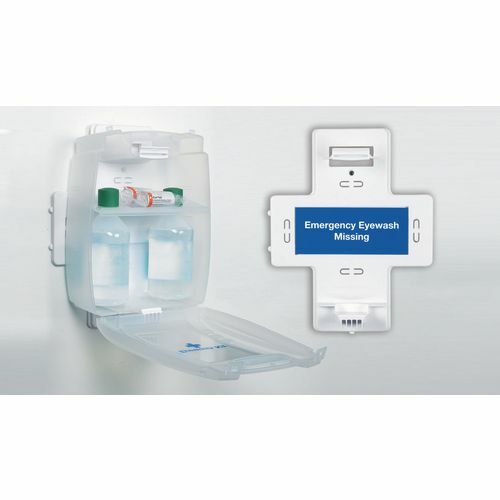 Kit includes: 2 HypaClens Sterile Eyewash Bottles, 500ml and 2 HypaCover Sterile Eye Dressings.